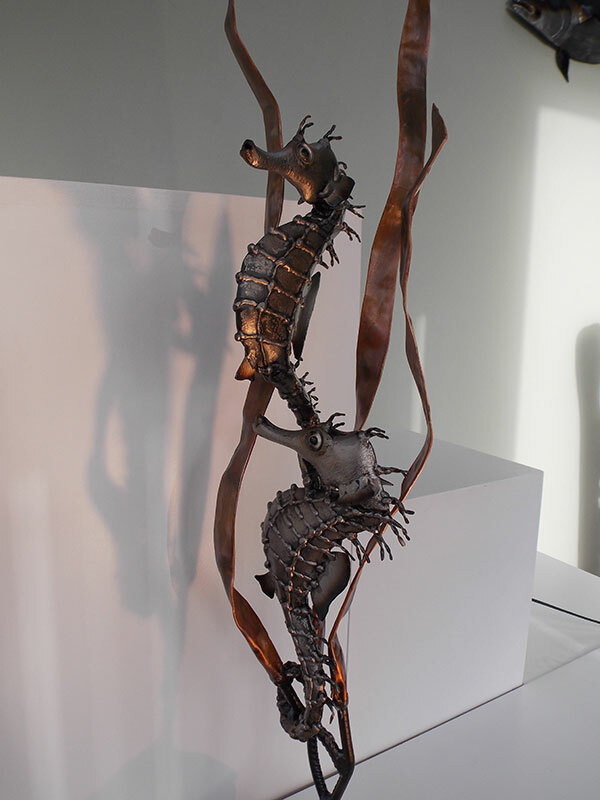 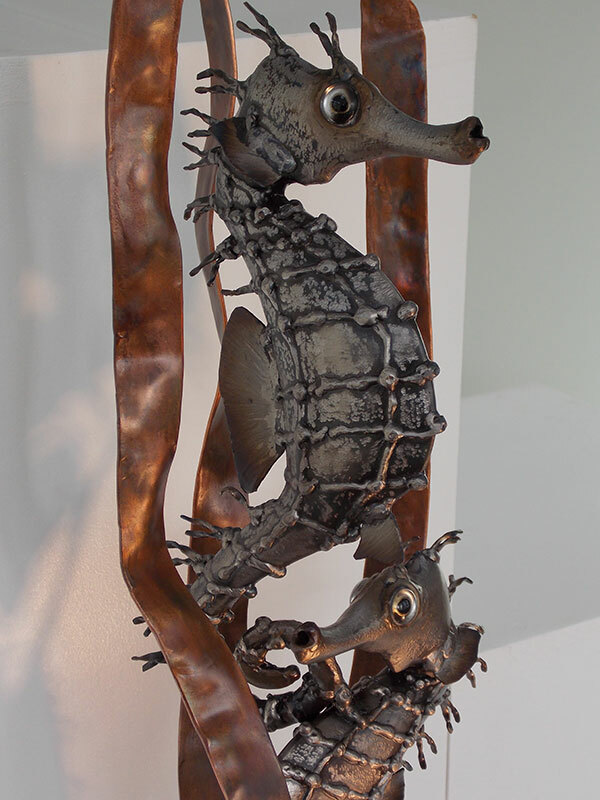 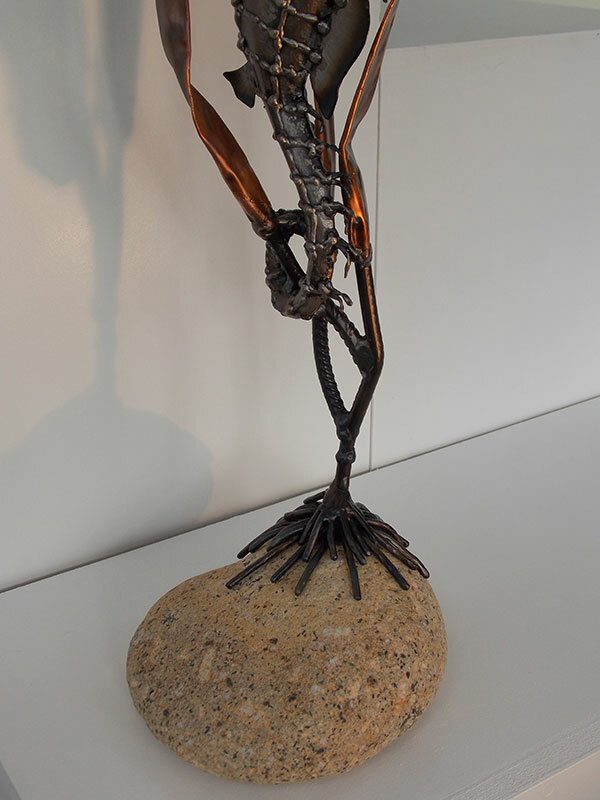 A beautiful pair of seahorses nestled in strands of copper kelp has just been delivered to Art World Gallery, Falmouth. No doubt you will see it in pride of place alongside the shoal of six mackerel they have displayed. 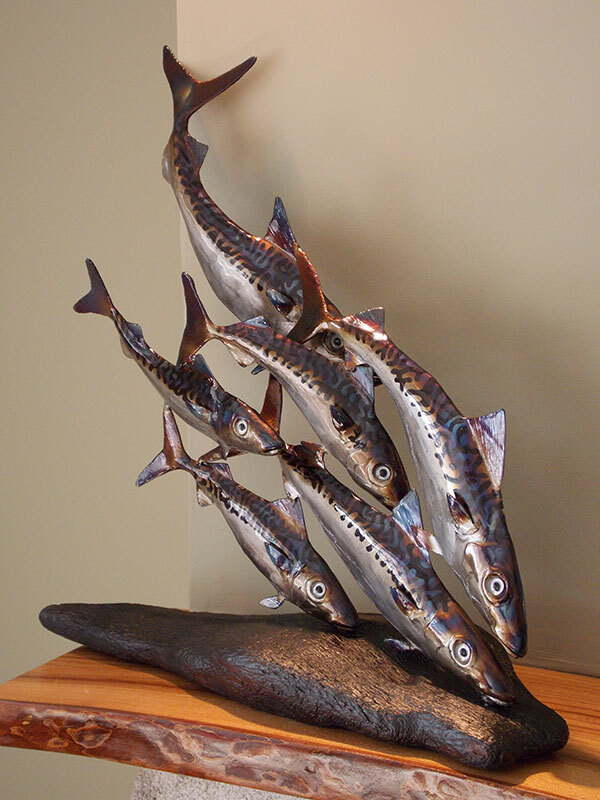 The mackerel are mounted on a piece of Falmouth docks driftwood, rescued from the river after the fire at the Queens wharf in January 2003.